Should I wait for the market to cool off before I purchase a home? Well, that depends. 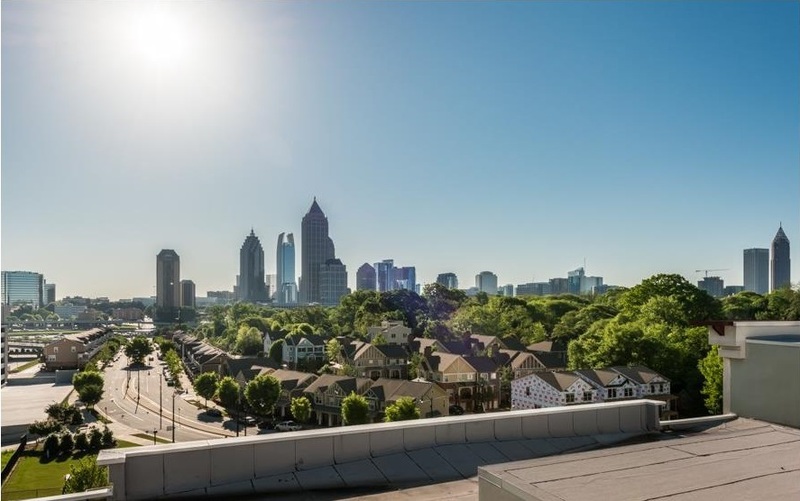 In a hot market, like we’ve seen in Atlanta the last several years, I’ve heard some buyers say they’ll just wait for the market to cool off before they purchase a home. The trick with that is, by the time the market finally cools off prices may have gone up another 10-15% (or possibly more). And just because the market is no longer “a seller’s market” doesn’t mean that prices will start falling. Talk with your agent about the pros and cons of waiting. Every home and neighborhood is different and they’ll be able to provide more detail about the valuation of the specific home you’re looking at. How do I put together the best offer …it’s not all about price. Make sure that you’ve been pre-qualified for a mortgage and have a pre-qualification letter from a lender. Sellers want to be sure that you can actually buy the home, and the only way to show that you can is to provide a bank confirmation. Minimize or eliminate as many contingencies as possible. While there will always be a few contingencies written into the contract that safeguard the buyer, talk with your agent about ways to eliminate any unnecessary ones. The most common ones that you’ll want to keep are the due diligence contingency and the financing contingency. Most buyers (if they currently own a home) will need to sell it before they can qualify to purchase another home. You can discuss options to get around this with your agent, and if you can remove this contingency you’re offer will always look better in the eyes of the seller. Unless you’re an inexperienced investor or general contractor with deep pockets, I would never recommend removing the due diligence contingency (the inspection contingency). However there are ways that you can make this more palatable for the seller such as minimizing the duration. Be reasonable with your offer price. If you were selling your home, do you think you take $50,000 off the price the first week it’s on the market? Normally an offer within 5% of the asking price won’t alienate a seller. However, in a strong seller’s market like the one we’ve experienced the last few years in Atlanta, offering too little can cause you to miss an opportunity so be sure to discuss the best strategy with your agent. While the traditional 20% down payment is still the most common amount to put down on a conventional loan, there are once again a variety of options in which you’ll only need 5% -10% down. FHA financing is also available which allows for a 3 ½% down payment. However, be sure to talk with your agent about the pros and cons of each type of financing. The amount you put down can impact your interest rate and whether or not there are additional fees like mortgage insurance. Good question. While the most obvious cost is the price of the home, there are a few other items that you need to keep in mind and budget for. Since the seller typically pays all real estate commissions, the only other costs the buyer needs to be aware of are the closing costs. These costs are due at the closing table and consist of two parts: loan costs (origination fees, processing fees, credit report, document preparation, title insurance, etc.) and “prepaids” (prepaid insurance and property taxes, HOA fees, etc.). Closing costs are how much?!! Closing costs can fluctuate depending on the time of year and the day of the month; however, a good rule of thumb is that they are typically between 2 -3% of the cost of the house. Yep, even after you’ve come up with your down payment you will still need to budget for these costs which are due at the closing table. Don’t worry though… While the buyer is typically responsible for most of the closing costs, it’s very common to negotiate a dollar amount that seller will contribute towards the closing costs. There are strategies to this, but it’s a great way to minimize the amount of cash a buyer needs to bring to the closing table. Be sure to talk with your agent though about the pros and cons of requesting a seller’s closing contribution (and how much to request). What condition can I expect a pre-owned home to be in when I move in? Unless you specify otherwise in the contract, you should expect your home to be in “broom-swept” condition with all trash and debris removed. Again, unless it specified in the contract sellers are not required to patch any holes left by pictures or wall hangings. Generally speaking though, the home should be in the exact same condition it was when you wrote the contract. You’ll have the opportunity to walk through the house just before closing to ensure that nothing material has changed – i.e. : the movers haven’t knocked a hole in a wall or dragged the refrigerator across the hardwood floors. If you do notice damage that wasn’t there before, be sure to talk with your agent about the best way to handle this. Do I need to get the home inspected? Yes. You should always have your home inspected. The language in the Georgia Association of REALTORS’ Purchase and Sale Agreement states that a buyer has the right to a due diligence period. While this can be waived, I never recommend it. During the due diligence period, you’ll have a certain amount of time to hire an inspector and look for any defects. What happens if the inspector finds problems? I have never had an inspection (even on brand-new homes) where the inspector didn’t find some items that needed to be addressed. Most homeowners are willing to correct serious problems and you can discuss with your agent the best way to proceed with those requests. If the inspection does reveal problems that the homeowner is unwilling to remedy, you do have the ability to cancel the contract any time during the due diligence period.